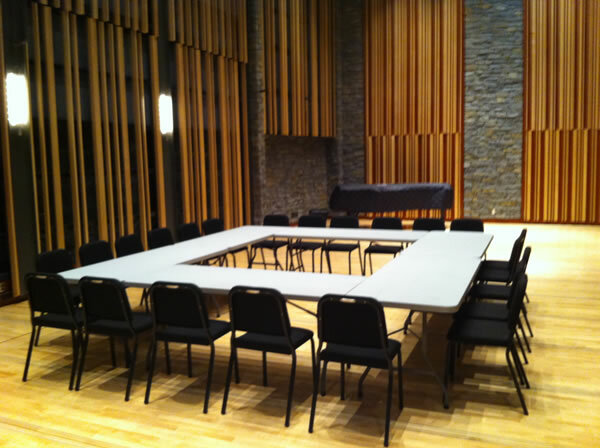 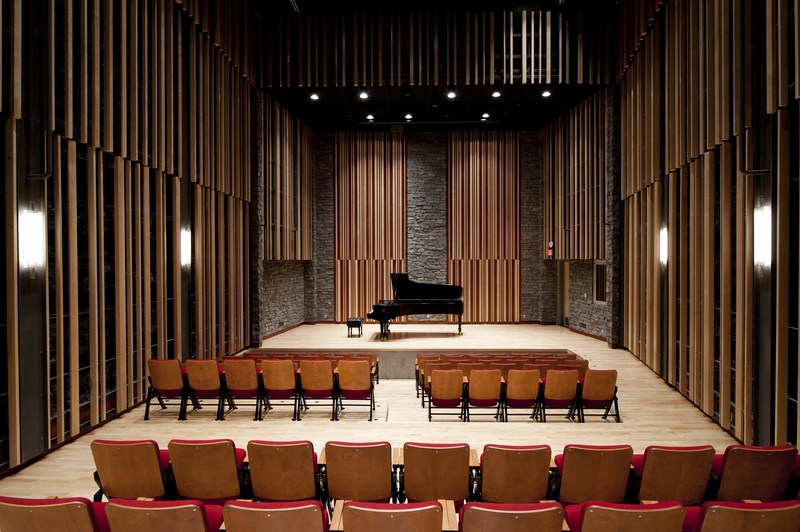 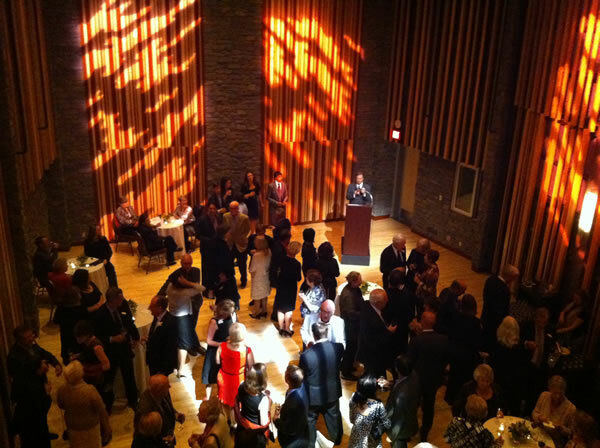 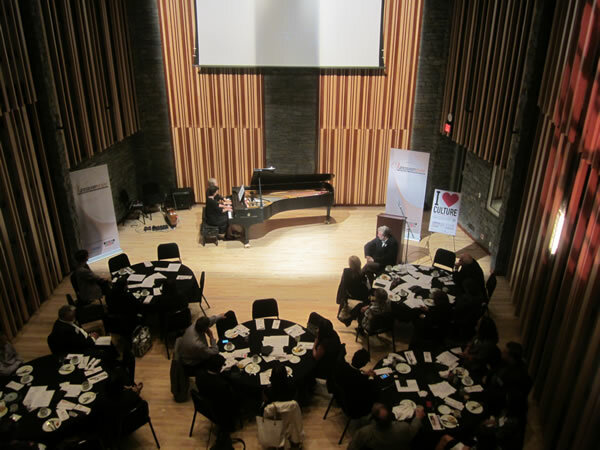 “Painstakingly designed as a state-of-the-art venue, Pyatt Hall combines a classical spirit with the benefits of 21st Century technology. 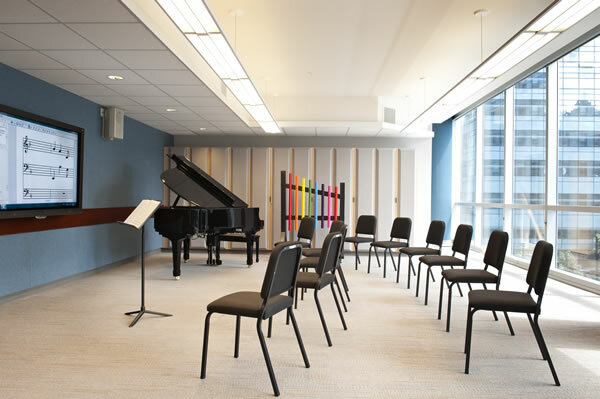 The flexible nature of the space makes for a multitude of stage configurations, and the gala-lift flooring system allows a flat floor to be transformed into raked seating in a matter of minutes. 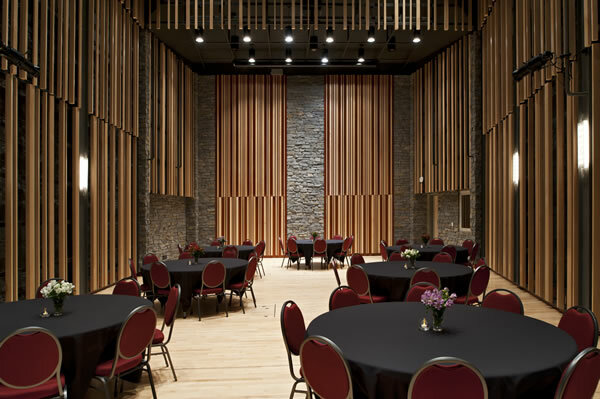 More adaptability comes in the form of motorized acoustic panels and drape systems providing multiple acoustic options for each event.